If you have any questions or suggestions, you can always email them to us. 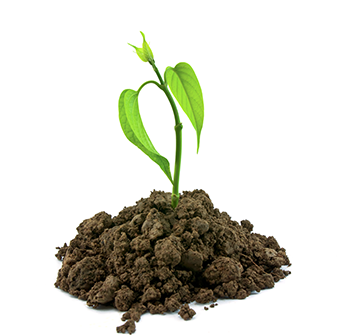 The founding principle of our products is Nutrient Efficiency to improve soil structure and chelation of nutrients for healthier plants. Our products have almost zero salts (less than 0.2% sodium) to make all of our nutrient and microbial products completely available to the plant. To help growers become more efficient while bringing a healthy biology & nutrient mix specific to an outdoor soil environment into indoor hydro, soil and soilless mediums for better quality and yields. To bring a Quality, Organic, No Salt ( less than 0.2% sodium) full microbial and nutrient line to hemp farmers throughout the U.S at AG pricing. For too long everyday growers and large commercial operations have had to pay an excessive premium for quality products at hydroponic stores. is to create premium nutrient efficient products for commercial farm operations as well as the smallest of backyard gardens at a fair price. is to create a company that has both product and price integrity. It’s easy to say but very hard to do. If we take away anything from being around the farming community and apply it to a company it is, do as you say and say as you do. If we make the highest quality products and at the lowest possible price, then we change the marketplace. Beta Testing of new products. Contact Info@GreenLifeBiotics.com for more information. More Stores and states will be coming online in the upcoming months if you are a retailer that would like to carry our product please use the contact form on the home page. Submit Email Address for New Product Updates, Giveaways & New Product Beta Testing - Click Here! OMRI Certified *Available in Colorado, Minnesota and will be opening up additional states later this year.